My kids love a good rainbow, and this experiment did not disappoint. Why wait for one to appear in the sky when you can make a rainbow in a jar? 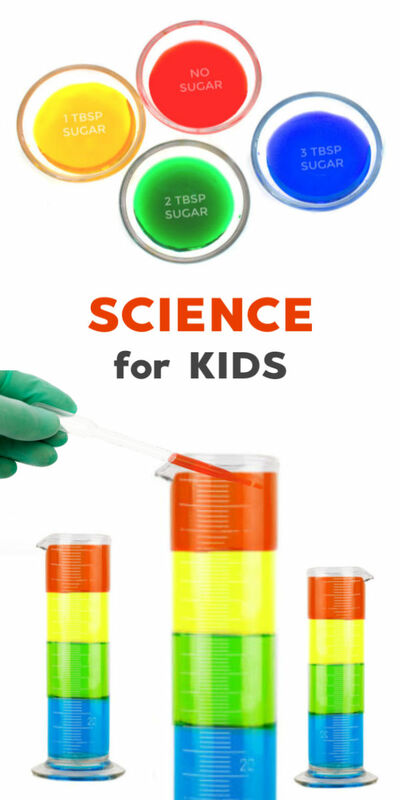 This sugar density experiment is a super fun way for kids to explore science, and you need nothing more than what you likely have on hand. This experiment is so colorful & fun! The set-up is easy, and you only need a few common kitchen items. 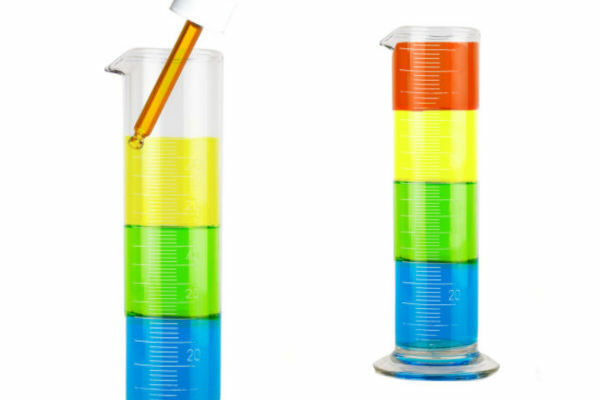 Are you ready to WOW the kids with a density rainbow in a jar? Note: The layering process goes much faster when using an art syringe, though a pipette or eye dropper will also work. Just be sure to layer the liquids slowly. 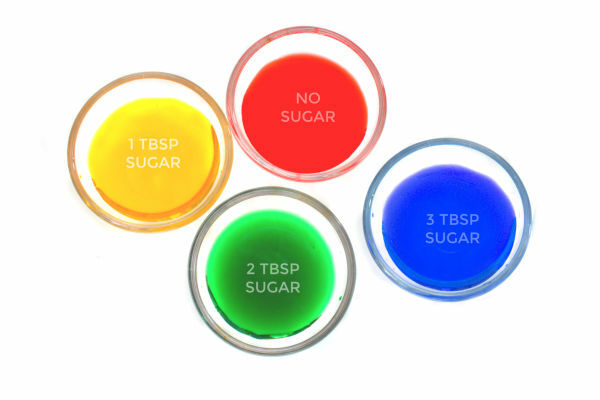 You only need a few drops of food coloring per cup. 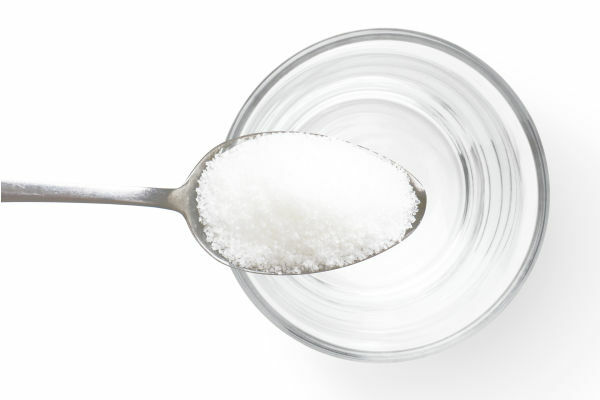 Add 3 ounces of hot water to each cup and stir until the sugar is dissolved. It is now time to make a sugar rainbow! You will want to begin with the blue water, because it is the most dense. Carefully pour the blue water into a tall glass or vase. 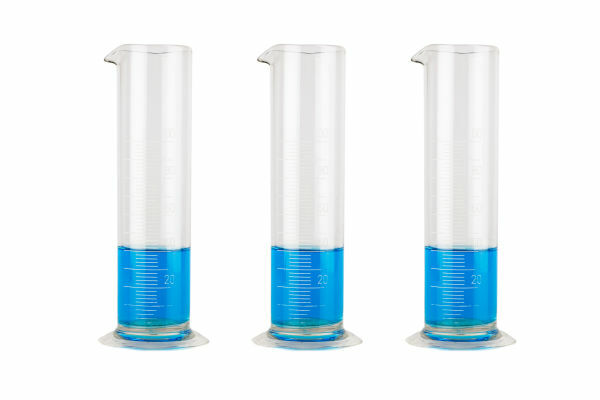 You can also use a science cylinder like this one. The skinnier the glass the easier it is to achieve the desired effect. For the next color you will want to use a syringe or pipette. Carefully & slowly add the green sugar water to the container. We found it easiest to run the water down the inside of the glass. As the green water is added you will notice that it does not mix with the blue water but rather sits on top of it! Once all of the green water is added use the syringe to slowly begin adding the yellow water to the container. Once all of the yellow water is added repeat this process with the red water. Why don't the varying colors of water mix? Given that the liquids have different densities (or weights) they stay separated. 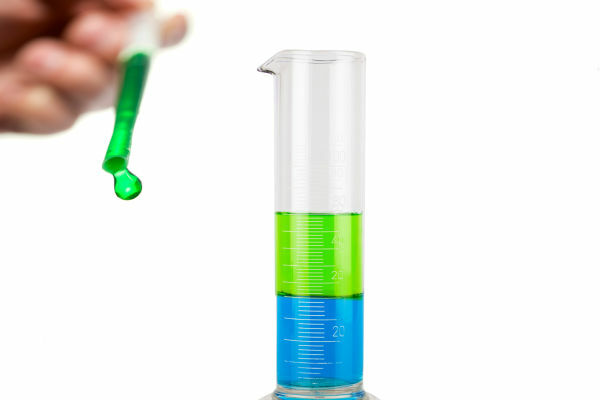 Read more on the science behind the density of liquids. 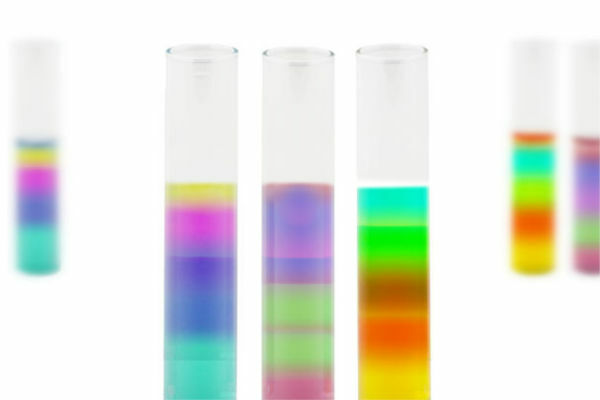 My kids were in awe by this simple bit of science & wanted to make density rainbows in every color, so we did! 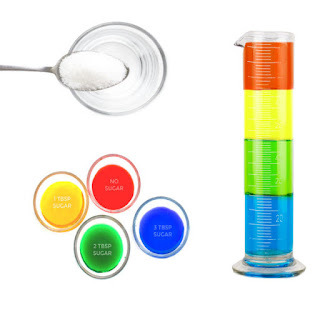 Can you make a sugar rainbow using every color of the rainbow? Try mixing food colors to make yellow and purple. Then, simply add more sugar to those cups than the others. 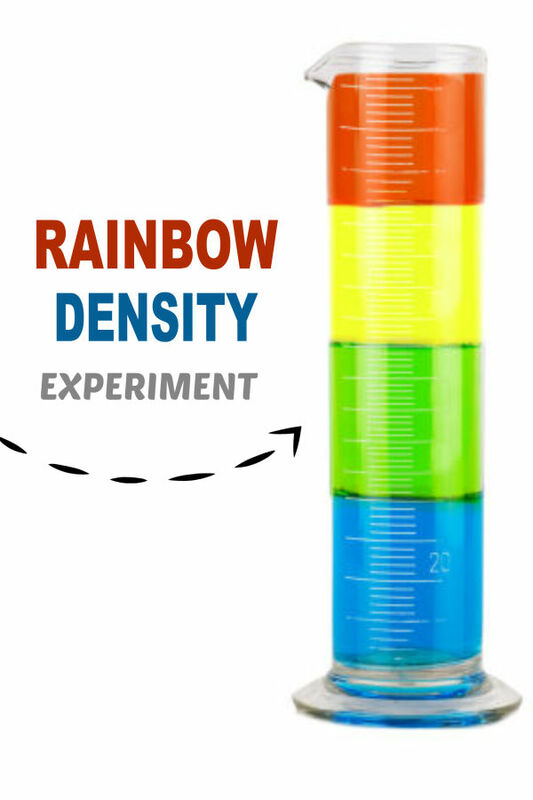 Can you make an all-out density rainbow? 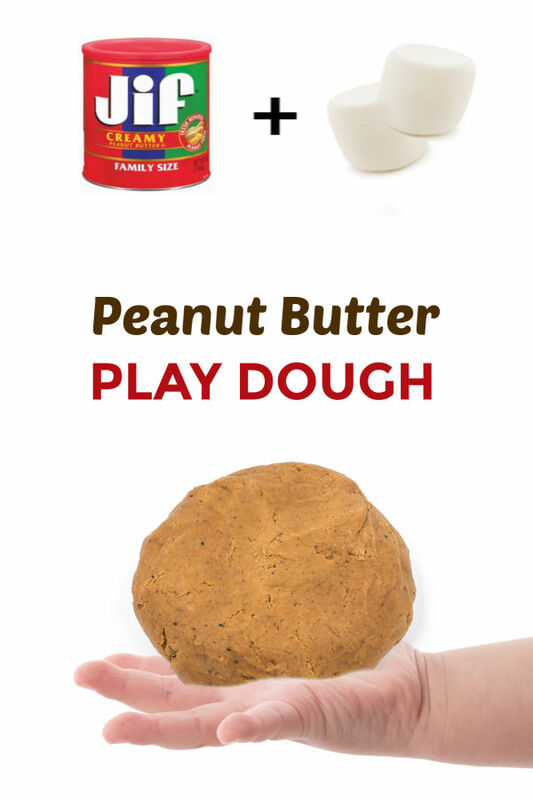 Will this experiment work with other things besides sugar? Give it a try & find out! 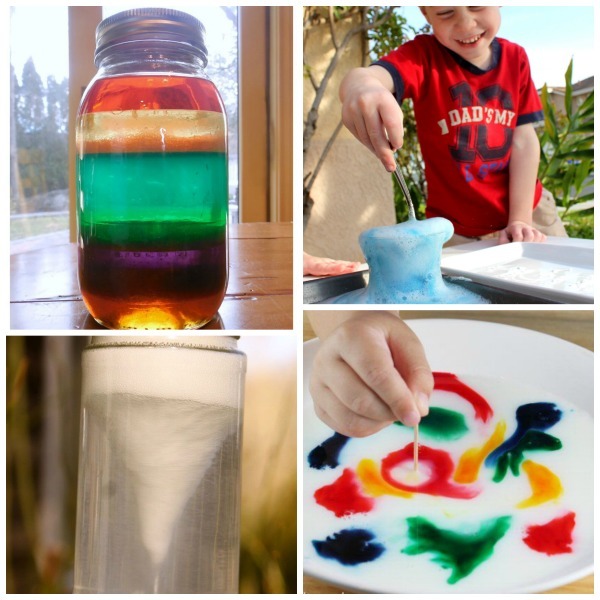 Try making a density rainbow using salt.